Sigourney Weaver might star in Alien: Isolation’s pre-order DLC, which makes hyper-tense levels of two classic scenes from Alien. But for the main, terrifying bulk of the game she is the mother Amanda Ripley is hoping to hunt down before she’s hunted to bits first. As it turns out, she liked Creative Assembly’s idea just as much as Sega did. 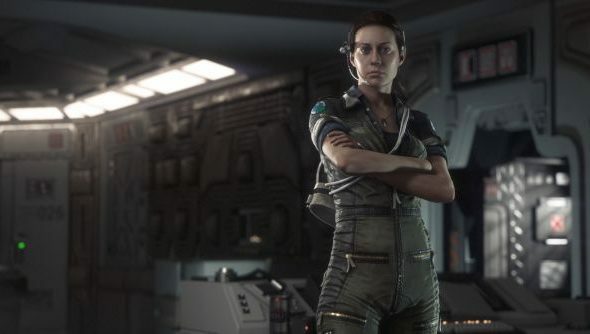 Isolation marks the first time Weaver has played Ripley in a videogame. Amanda Ripley occupies a poignant spot in Alien lore between the first two films. Weaver played her mother in Aliens, returning to Earth after Amanda’s death. “And so when they said we want to follow Amanda looking for you in her explorations of space, I was very touched by that,” Weaver told the Associated Press. Weaver hadn’t reprised her role as Ripley since 1997’s Alien: Resurrection – but when she began reading her lines for Isolation suddenly found herself back in 1979. Is Weaver’s involvement ample compensation for the fact that Alien: Isolation’s Oculus Rift demo was “just a prototype”?